Here is a map of Kammbia. 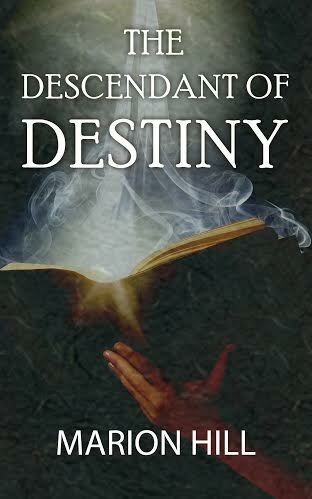 The fictional world where my novel, Descendant of Destiny, is set in. 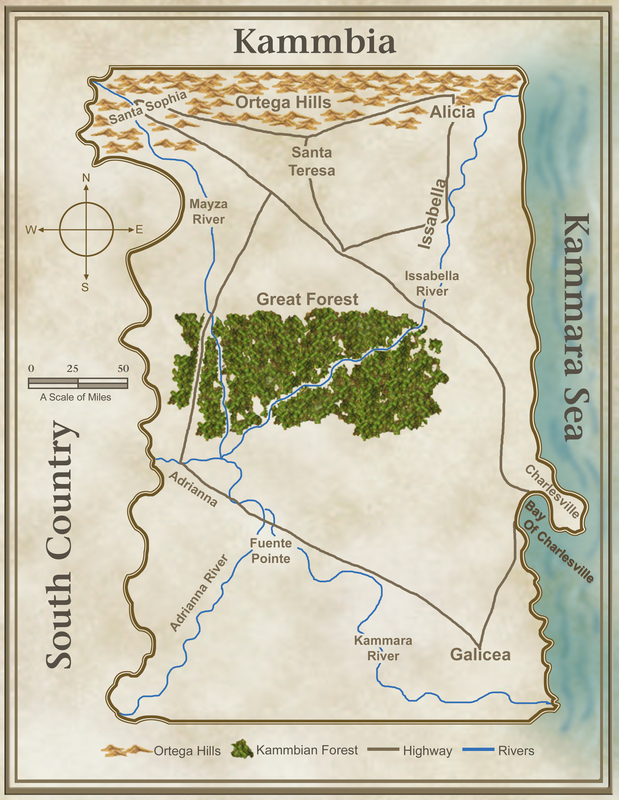 The land of Kammbia is divided into two regions: North of the Great Forest and South of the Great Forest. There are four main cities in each region of Kammbia and they will be featured throughout this series starting in the Descendant of Destiny. Charlesville and Santa Sophia are the two cities where The Descendant of Destiny takes place and are the main cities for the entire series. Is destiny something to be shaped by your own hands? Is destiny something to be shaped by other people? Or is there a higher power that ultimately shapes our destiny? This is the journey that Diondray Azur of Charlesville will discover when he finds out the existence of a book called The Book of Kammbi. The book reveals an ancient prophecy that needs to be fulfilled by a descendant of Oscar Ortega, one of the land of Kammbia’s greatest men. All signs point to Diondray being the one who will fulfill this prophecy. However, he does not believe in the prophecy and thus begins the journey towards his destiny. Here’s the cover to my upcoming novel, The Descendant of Destiny. 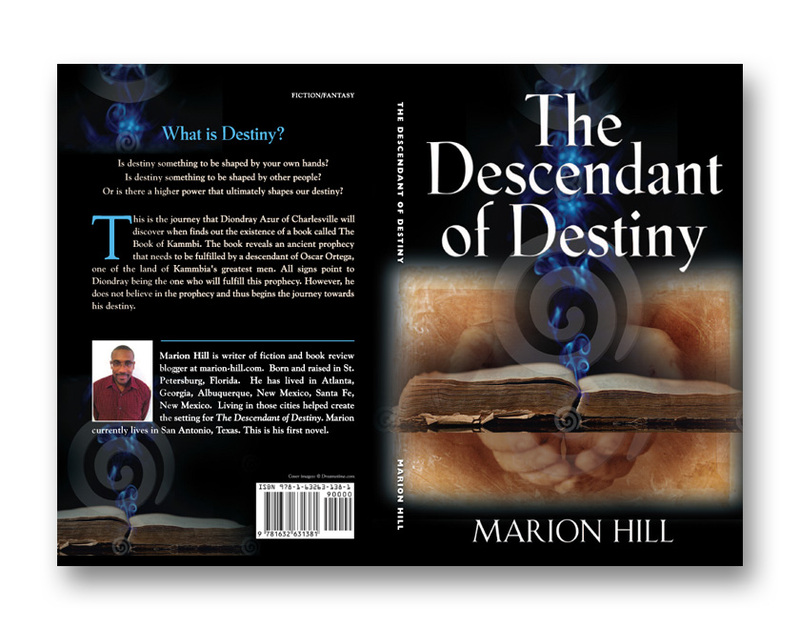 The Descendant of Destiny is a Christian Contemporary Fantasy Novel and the first book of the United Kammbia Trilogy. My novel tells the story of Diondray Azur, who has been chosen to go to Santa Sophia, a city in the fictional world of Kammbia. However, Diondray is a member of the Azur Family of Charlesville. The Azur Family is the ruling family of Charlesville and they would never allow him to go to Santa Sophia. The world of Kammbia is divided into two regions: Northern and Southern. Santa Sophia is the major city of Northern Kammbia and Charlesville is the major city of Southern Kammbia. The Kammbian Forest separates the two regions. The citizens of Northern and Southern Kammbia do not interact with each other. However, there is a prophecy revealed in the Book of Kammbi that ties the two regions together in the past. The Book of Kammbi is the sacred book for the people of Northern Kammbia. Diondray Azur will become the person that is the fulfillment of this prophecy and unite the two regions into one. 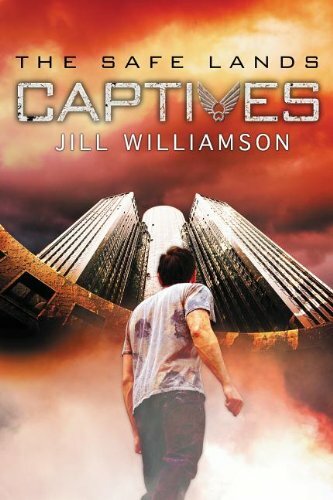 That question is the one that kept coming to mind as I read The Captives (Safe Lands Book 1) by Jill Williamson. It is a YA Dystopian novel and not a genre usually read. (However, I did read and review the wonderful Book Thief by Marcus Zusak last year.) This novel was recommended to me by a blogger and reader I trust and I’m thankful for her recommendation. The Captives is set in a futuristic Colorado and revolves around a family that lives off the land in a village named Glenrock. The family believes in Christianity and follows its values. However, one of the sons decide he’s had enough of the old ways and beliefs of his family and is determined to make a name for himself in Denver City. Denver City is a modern utopia and has everything one wants especially for a teenager. The son devises a plan to get his family to leave Glenrock and join him in Denver City. However, the plan doesn’t go as expected and there are some disastrous results because of his choice. While in Denver City, the family learns how the people of the city lives and is in stark contrast to how they lived in Glenrock. Pleasure and Entertainment is the main lifestyle for people of the city. Women are used as baby factories for the state and being in a committed relationship or marriage is considered outdated by the citizens. The city decides on where you will work or what career path you must take and there is a harsh punishment for those who try to buck the system. However, the eldest son of the family was not around when the rest of his kinfolk were taken into Denver City. He decides he must go into the city in order to rescue them. But, he learns quickly that once you come to Denver City it’s not that easy to leave. Since this is the first book of the series, the author finishes the novel with a few open-ended questions that needs to be answered in the subsequent books of the series. Williamson has written a solid, thought-provoking YA novel that put a smile on this middle-aged reader’s face. This is the one of the best novels I’ve read so far in 2013 and would recommend it for readers 14 and up. Every so often, you will get a book that takes awhile for you read for no apparent reason. Work schedule gets a little longer, family obligations eats up more of your time, and distractions from like getting sick or car problems will keep you from giving your full attention to reading. However, once you’re able to get some reading time, the story takes you away from what life has thrown at you. 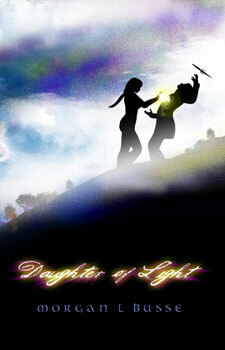 Daughter of Light became that book for me. It’s a debut novel from Morgan L. Busse and the story revolves around Rowen, a young woman who got banished from her village because she was accused of being a witch. Even though she was devastated by her banishment, Rowen gets an opportunity to become a varor (bodyguard) for Lady Astrea, daughter of King Gaynor of White City. Rowen’s journey from banishment to discovering her purpose and coming to grips with her gift has been told before in many fantasy novels. However, Busse adds her own style to this theme and creates a fully fleshed out fantasy world in Daughter of Light that made a familiar trip truly enjoyable to read. Moreover, the story is infused with a Christian worldview, with acknowledgement to The Word as an ancient source of power, inspiration and faith for some of its citizens. It is definitely a reference to biblical scripture but Busse weaves it into her narrative pretty well without being preachy or overbearing. I did think the rhythm of the novel was at a different speed than I’m used to from this genre. There were a lot of short sentences in the narrative where I was expecting longer flowing sentences and more expository passages. However, the characters were fully developed and made up for whatever lack of rhythm that the novel had. Daughter of Light is an excellent addition to the fledging genre of Christian Speculative Fiction and should be recommended for all readers of fantasy literature. A great article about Christian Speculative Fiction. What is it?